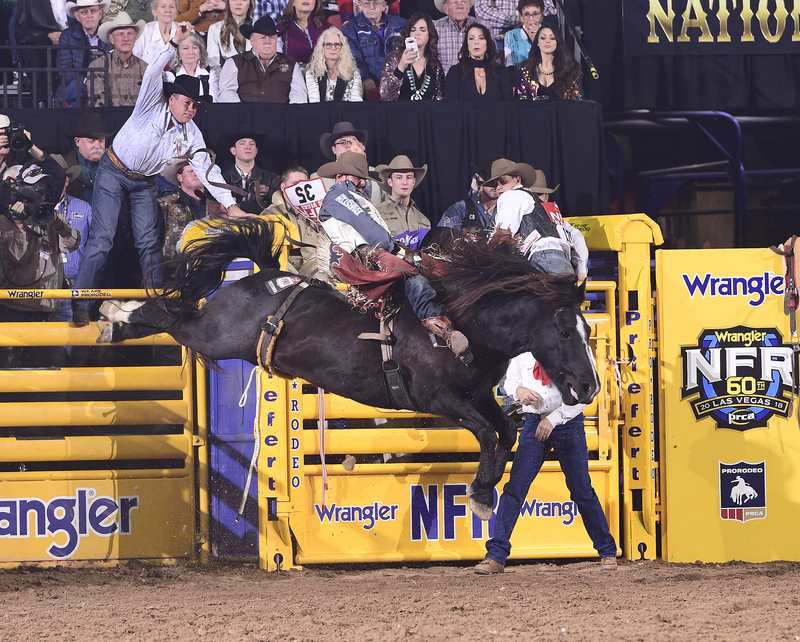 LAS VEGAS – His right hand and arm are sore, but Mason Clements isn’t letting that hamper him at the National Finals Rodeo. A night after the Northcott Macza horse Spilled Perfume spilled Clements and had him hang off on the side of the animal for several seconds, he rebounded with an 84.5-point ride during Sunday’s fourth go-round to finish in a three-way tie for fifth place. On Sunday night, Clements spurred Stace Smith Pro Rodeo’s Cactus Black to pocket $3,667. 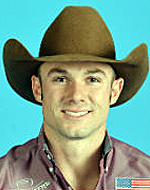 That pushed his NFR earnings to $43,282 and his season total to $142.818. “I knew that was a really nice horse, but I’ve never been on him,” Clements said. “I had a couple guys tell me he was a really nice horse and say the he was going to leave like a rocket and jump back into the chutes. The hang-up happened after Spilled Perfume overpowered the Springville, Utah, cowboy and dumped him onto the left side of the horse with his right hand still stuck into the tight rigging. All the horse’s power was twisting and turning on that right hand and arm, but arena personnel eventually got the animal slowed down for Clements to slide to the other side enough to free his hand. The result was a swollen hand that is being treated by the Justin Sportsmedicine Team that’s working the championship. “Nothing has changed in my mind,” Clements said. “Obviously things are a little more sore now, but my mindset hasn’t change; it’s still going for the win. You step on the back of the chutes and you put your rigging back on your horse. You’ll have soreness; you’ll have injuries.